For the past 3 years, Usha Christmas has supported the Princess Alice Hospice at the London Marathon; attending their pre-race meetings and providing on the day post event massage to the runners. 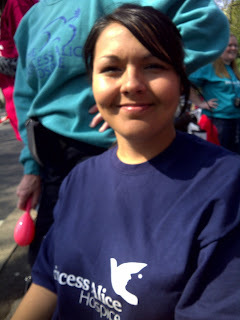 Congratulations to all those 17 wonderful individuals who generously raised £37k for the Princess Alice Hospice by running the Virgin London Marathon 2011. Usha Christmas (MSST) is a fully insured Sports Therapy Practitioner and a registered member of the Society of Sports Therapists (SST).